RevK®'s rants: FTTC: Wires only or not wires only? FTTC is currently an engineer install with a BT provided modem. As a "service" from BT this works as an Ethernet service - BT providing the ability to send/receive Ethernet packets from the port on the modem through to the kit in the exchange (and then on to us via PPP and L2TP). They are, however, trialling a number of options on this. Engineer install is expensive, so how can it be done without an engineer visit to your house? There are several options, but the main two being considered are "wires only" where we (or the customer) provide the VDSL modem, or a non-engineer install where the customer is sent a BT modem to plug in. Some people have asked us what we are doing on this, and at the moment the plan is to try the one where it is still a BT modem. We don't know the pricing yet, but there is a reason for this. 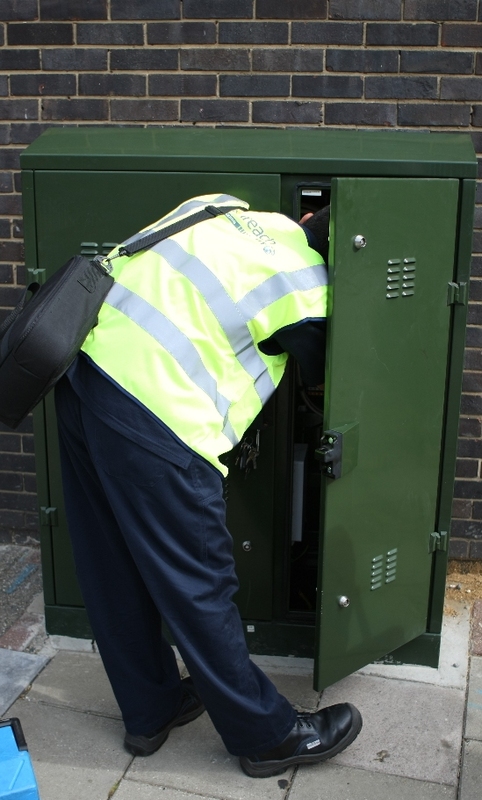 With ADSL, which is wires only, there is a whole system of Special Fault Investigation engineers that has been set up and changed over the years - this is entirely as a result of the battle between ISPs and BT over the "grey area" of the DSL circuit. If the DSL is not working correctly it could always be the modem at the BT end, the wiring in the BT network, the customer wiring, or the customer modem. There is no way to tell. So this leads to BT automatically blaming customer wiring and equipment and charging for an engineer visit, even if we have provided replacement known-good kit, and so on. The whole nightmare of SFI continues to this day with every ISP having staff or even a whole department, to dispute BT bills for SFI changes that are not valid. With FTTC at present, this does not happen. BT are responsible for everything up to the Ethernet port. They can see if there is a problem, test for packet loss, test all of the VDSL parameters, and they have to fix if any of that is broken. There is no grey area and faults almost never fall in the cracks between BT or customer responsibility. This is good news for everyone, us, BT, and our customers. So, we are very keen to maintain a service where BT are responsible for the modem as well and cannot ever blame customer equipment for a fault. Actually, we'd love an ADSL service with PPPoE bridge/modem that is BTs responsibility, ideally one that is built in to the master socket, but we'd certainly like to retain this for FTTC. Ultimately, even now, customers could use their own VDSL modem, as long as they are prepared to put the BT one back in when investigating a fault. What advantages (if any) are there if I use my own VDSL modem ? If there are, what are my options (sitting here with the BT supplied modem connected to AAISP) ? I believe the main advantage is making a "one box" solution by using a VDSL router/firewall/wifi device. How are they handling the vdsl faceplate? Just having the EU screw it on? They were talking of normal plug in filters. I am not sure this is any different to normal ADSL filters, but the faceplate means that they have filtered all extensions, etc. It is an area that could be end user wiring, yes. I suspect we'd insist on faceplate splitters or non-filter broadband only faceplates. How feasible would it be for BT to be able to provide a line-powered VDSL master socket faceplate with voice socket, and ethernet socket? That would be a really tidy setup. Are the VDSL chipsets nowhere close to that level of efficiency yet? I suspect "line powered" is an issue, but certainly something with a power jack on the master socket could be done - chipsets are getting really small. Heat from the current chipsets may be a problem. BT already had to replace a lot of early models of the vdsl modem with a new revision. Line powered would be ideal, but failing that PoE would be nice - power the whole VDSL modem / router+wifi+switch from a single socket instead of numerous wall-warts everywhere. That would also simplify UPS installation where the master socket is some distance from your datacabinet - UPS powered PoE switch in the cabinet with the VDSL modem in the master socket powered directly from it. +1 on BT provided VSDL kit (modem and face-plate filter) for all the reasons discussed. The only potential issue I can foresee is where it isn't practical to install the VSDL modem in the location of the master socket. It would be good to have the option of an engineer assisted install as well. The FTTC line we had installed at a remote site last week failed the line-tests until the BT chap resolved a mis-wired alarm connection on the BT side of the master socket. Our firewall (that supports PPPoE) is now connected directly to the BT kit. This has allowed AAISP to recover the redundant /30 subnet previously used between our firewall and the AAISP provided ADSL router. Well, Openreach could start by being more efficient so that when there's a simultaneous provide they actually only visit the customer once, not twice :( That would save them some money and it would also help if they actually told the customer or you about the second appointment. The new style faceplates could be a customer fit for those with an NTE5, although it would be nice if they weren't about a foot deep! Oh, and anyone know what to do with a spare BT VDSL modem? I've got one sat in my study doing nothing all because it's almost impossible to switch providers on an LLU line without a long loss of service. Fixing that would save a lot of money too (and engineer visits). Technically it belongs to BT, but they haven't bothered collecting them (which echoes the situation with the squashed frog back in the day). Sell it on ebay? They make fairly decent ADSL modems too when the firmware is unlocked. I could agree if (a) adding another box didn't add complexity and therefore surely contribute to the risk of failure and (b) if the BT box supported some basic monitoring stats or offered SNMP. Without hacking the box it's not possible to see line conditions and potentially pre-empt a failure. Adding more hardware to simply finger point; hmm - not a compelling argument! You've rather missed the point here - it's not "adding more hardware to simply finger point", it's adding more hardware to cause *less* finger pointing. With the Openreach modem, BT Wholesale can check the entire service end to end for any faults - including at the modem. There's no argument from them. BT can control and monitor the whole circuit end-to-end. On the other hand, when you have ADSL with a customer/ISP-supplied modem they are extremely happy to say "we can't see anything wrong, it must be the customer's/your equipment". This then means that the customer either has to buy a new router or the ISP has to supply a new one, causing a further delay. In this case, BT can only see and test one end of the circuit. I know, by default, the Echo Homelife FTTC modems provided by Openreach have modified firmware which stops the End user from accessing logs. But does anyone remotely have access to these logs: such as Openreach, Wholesale, the SP or nobody? Engineer visits sound expensive so for the time being I will soldier on with ADSL. Allegedly the nearest FTTC cabinet to my property is Bude P8 but exactly where this cabinet is located remains a mystery. This means that at present going FTTC is like buying a pig in a poke as without knowing the distance still being run in copper, the uplift is difficult to deduce. It trashed my blog so I won't bother. Thanks a bunch.